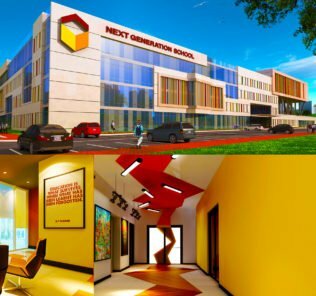 The following review provides historical context for the merger of GEMS Nations Academy and the KHDA Outstanding Dubai American Academy (DAA) due to complete in September 2017. 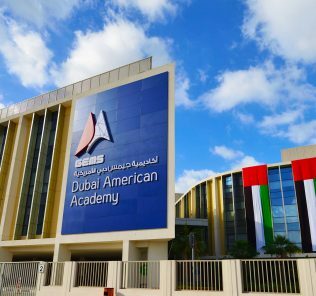 The merger will see the launch of a new school, Dubai American Academy – GEMS Nations Campus, blending the flagship facilities and faculty investment of GEMS Nations with the historically outstanding teaching and achievements of Dubai’s premium US curricular school. 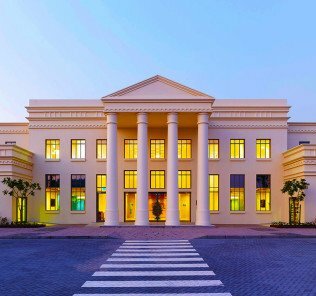 In the launch of Nations Academy, GEMS Education sought to raise the bar of Tier 1 premium American curriculum based educational provision in the Emirates. Its ambition was not only limited to the breadth and quality of facility provision; more powerfully it sought to create the lowest staff to student ratio of classroom teacher provision available across any school in the Gulf by replacing all teacher support assistants with fully qualified teachers in all classes, thereby providing at least two teachers in every lesson. The new merged DAA-Nations school will continue with this co-teacher model, and existing DAA faculty will transfer to the new campus. The original model will be adjusted, however, so that in most cases the second teacher will be drawn from younger NQTs which GEMS sees as having the skills and calibre to fast-track into its flagship school. The aim will be for the new school to be a focus for professional development in the Group. The threshold ratio of student:teacher provision at GEMS Nations is fixed at 1:8. 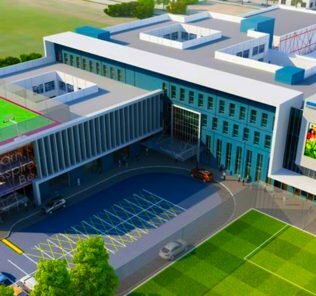 This level of investment in a “lead teacher/Co-teacher” model of teaching, notwithstanding the extraordinary scale of GEMS investment in facilities and infrastructure elsewhere across the college, is arguably the major driver for parents seeking a premium school experience for their children. Although the dynamics of two senior teachers operating within a single class had been untested, the promise of this approach is an exceptionally individualised learning experience for students. The revised model, it is hoped, will bring better balance in the co-teacher model with experienced teachers bringing breadth of experience and NQTs bringing the latest developments in new teaching methodologies and best practice to each child’s education. GEMS will continue to invest in specialist teachers in Physical Education, Music, Art, Arabic, Islamic Studies, Design Technology, Computer Coding, College Counseling, and English as an Additional Language further reducing student-teacher ratios across the school program. Facilities themselves again push the boundaries of the very highest provision available anywhere in the sector, these including shared learning/break out zones for every grade; multiple dedicated Arabic language facilities; landmark library; science labs; ceramics and kiln room; photography and dark room; music rooms; band rooms; digital theatre; drama rooms; dance studio; TV studio with green screen facilities; radio suite; music editing suite and production facilities; digital learning zone; the largest sports hall facility in the Emirates (the size of more than 3 basketball courts); elementary sports hall with single court; indoor running track; fitness suite and sports science labs. Outdoor facilities include a 400M running track; tennis courts, basketball courts, soccer pitch, shaded play areas, roof play areas and 2 further soccer pitches. The DAA school role will see a very significant improvement to their facilities in transferring to the new school. A good example of this comes with the exceptional provision by GEMS Nations Academy of an Olympics Grade 50M swimming pool – a facility that even the largest UK cities have struggled to provide. 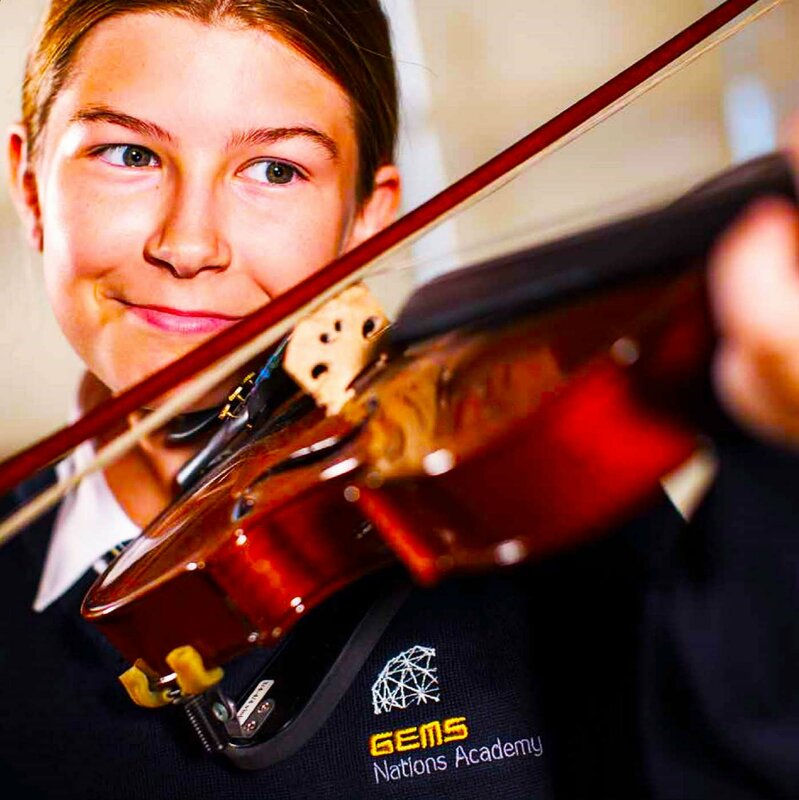 GEMS investment roots the school from launch with the resources to provide Olympic standard training provision for future Olympics as well as the facilities for the Emirates top tier swimmers to train for global competition. Another notable facility is the digital lab developed through GEMS’ pioneering new partnership with LEGO© Education. This offers Nations’ students LEGO© Robotics development software and hardware development opportunities at every phase, with an “emphasis on a learning progression in computer coding from simple control routines to sophisticated programming structures for real-world problem-solving.” As the school notes in its whichschooladvisor 2016 Q&A: “…the aim is that all students will become proficient in computer programming–our third language.” These facilities will continue and develop with the launch of Dubai American Academy – GEMS Nations Campus. The school is set within a 70,000m2 site in Al Barsha. GEMS Nation’s founding Head of School, Tom Farquhar, was recruited from the United States, from a career including almost four decade’s experience in the Quaker school’s segment, one known for its very distinct, extremely child focused, creative educational approach. For whichschooladvisor the choice of Head of School was an inspired one, closely matching the clear focus of Nation’s core ambition to set the highest benchmark for individualized learning in the Gulf. Mr Farquhar will leave the school in September 2017 having established the Nations Campus and will be replaced by DAA’s Tammy Murphy. 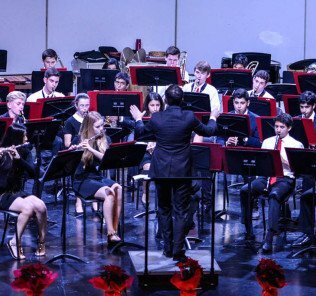 The new school will continue to offer parallel International Baccalaureate Diploma/US High School Diploma streams at secondary phase, ensuring that the school can match the aspirations and talents of individual students extremely closely. Whichschooladvisor notes that it is the dual teacher model underpinning the school’s focus on individual children, an approach designed to enable every child to excel academically, that underpins the necessary strengths of provision required to enable the school to bring together the very different demands of each curriculum. 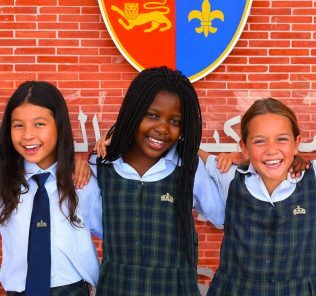 Fees for GEMS Nations were established from Day One as Tier One plus plus, ranging from DHS 84,000 at KG1 to DHS 118,000 in Grade 8 – the highest of any (day) school in the UAE. 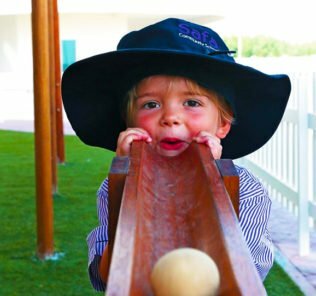 With the launch of the new school these will reduce to DAA Levels, although it is likely that these will increase by the maximum allowed KHDA threshold (around 4.7% annually) for outstanding schools. Our sister site WhichSchoolAdvisor.com has long campaigned for schools to provide bursary provision for gifted children whose parents would not otherwise be able to afford the fees. GEMS Nations met this challenge with the launch of a dedicated scholarship programme focused initially on Grades Six to Eight. The criteria for bursaries had not been solely academic. The aim, for example, was to establish both financial diversity and a springboard for exceptional athletes, each playing strongly in criteria for application, both relevant in the context of its Olympics grade sports facilities where potentially the families of world class athletes may simply otherwise not have the funds for their child(ren) to attend the school. We are awaiting clarification that the school’s flagship scholarship programme will be retained and evolved in the new school from September 2017. Elsewhere, Special Educational Needs [SEN] provision is designed to provide integrated teaching support within the classroom to ensure children are in no way isolated and that all students learn within the Nation’s accelerated learning environment together. Specialised individualized learning is also provided but the approach is very much an inclusive one. This approach also means that the Nations Academy program has been appropriate for some, but not all, students with Special Educational Needs [SEN]. For whichschooladvisor, there was a general view on launch that Nations that was less likely to suit non-academic children with more than moderate learning needs. At the other end of the spectrum, Gifted and Talented [G&T] children were seen as likely to thrive within the accelerated learning environment at the heart of school life. With the merger of DAAs approach to SEN we expect some moderation of the equation. For whichschooladvisor the opportunities for students enrolling at GEMS Nations Academy, notwithstanding the inevitable teething challenges faced by all new schools, had been the most extensive and substantive of any school in the Gulf – and beyond. The degree to which GEMS succeeded on its ambition would have had far reaching impacts too across the sector as a whole. 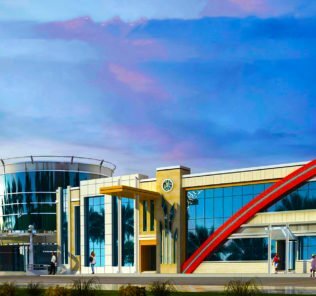 With the launch of the newly modelled Dubai American Academy – GEMS Nations Campus, there is both promise, and some risk. DAA is GEMS flagship US school. Not retaining its Outstanding status would be unthinkable. GEMS Nations had sough to re-define the benchmark of premium Tier 1 education and set global benchmarks. The merger of two schools, in even the best of cases, is no small feat – even when, as here, the merger is of “giants” in their respective strengths. GEMS will need to ensure that the merger does not dilute the investment in faculty that, notwithstanding its facilities, arguably defined the critical strength of Nations original offer. GEMS will, at the same time, also need to ensure the stability DAA’s own proven model within a very different structure to not place that at undue risk. The potential – in combined world class Nations facilities, a proven US driven DAA teaching model – and lowered fees (relatively for DAA students, and absolutely for existing GEMS Nations students) are the bricks and mortar of something special. But the devil will be in the detail and this is one leap of faith, and confidence, that GEMS will not want to falter. Time will tell.